A native of Lucerne, Switzerland, Ludwig Wicki was raised in a musical family where playing and singing was a part of daily life.Mo. Wicki began his formal musical education by studying trombone, becoming a member of the Lucerne Symphony and Opera Orchestra. Simultaneously he founded the San Marco Brass and the Philharmonic Brass Quintet to indulge his keen interest and love for chamber music. This led to a long-term affair with early music and its various interpretations, including authentic performances of renaissance and baroque repertoire for trombone and particularly the golden age of Venetian Renaissance. All these experiences reawakened and strengthened Mo. Wicki’s love of choral music and led him to study choral conducting with Professor Martin Flämig, former music director of the world-renowned Dresdner Kreuzchores in Germany. He fell under the spell of the Gregorian choral tradition and became a permanent member of the Schola Romanum Lucernensis, under the direction of Pater Roman Bannwart, a leading expert on choral music and one of the most important influences on Maestro’s development. It was only a matter of time before Ludwig Wicki turned his attention to orchestral conducting and he began to study with Dr. Ewald Körner at the Conservatory in Bern, simultaneously continuing his studies with Prof. Donato Renzetti at the Academia Musicale in Pescara, Italy. When the position of the music director opened at the Palace Chapel of Lucerne, Mo. Wicki jumped at the rare chance to pursue all of his various musical interests at once, leading the Chapel choir in baroque and early music, and conducting the orchestra in works by Haydn, Mozart, Beethoven, Schubert, Mendelssohn, Dvorak, Bruckner and many 20th century composers. He inaugurated a Renaissance Ensemble Il Dolcimelo and created the “Treffpunkt Haydn” concert series. Having developed an expansive repertoire of early, classical, avant-garde and jazz music, Mo. Wicki finds a special pleasure in switching between styles and epochs; he rekindled his love for film music and contemplated the idea of founding a professional orchestra that would play nothing but movie soundtracks. 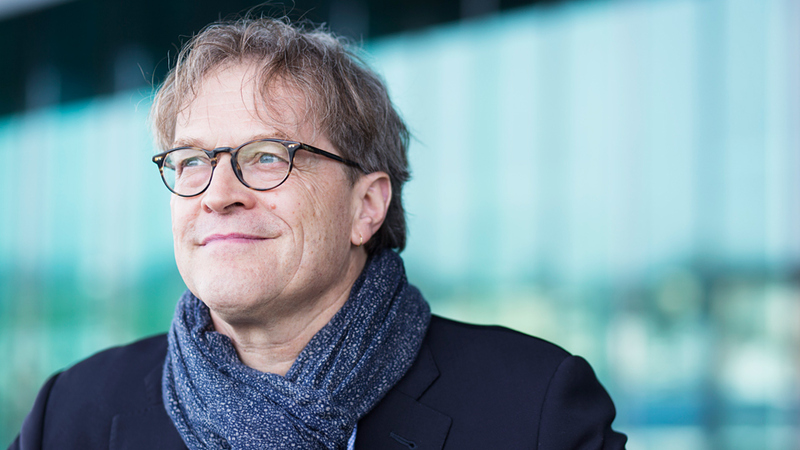 In 1999 the 21st Century Symphony Orchestra was born in Lucerne; Maestro Wicki’s brainchild has been playing sold-out concerts to mixed audiences of film fans and symphony music connoisseurs ever since. Ludwig Wicki collaborates with such internationally renowned composers as Howard Shore, Randy Newman, Michael Giacchino, James Horner, Patrick Doyle, George Fenton and Martin Böttcher and many more. Highlights of previous seasons included world premieres of The Fellowship of the Ring, The Two Towers and The Return of the King at KKL Luzern, the first-ever live performances of the complete original scores – the success of these unprecedented events resulted in invitations for performances all over the world, including the London Philharmonic Orchestra, the Chicago Symphony Orchestra, the Munich Symphony Orchestra, Rotterdam Philharmonic, Krakow’s Sinfonietta Cracovia, the Wolf Trap Festival Orchestra and the St. Louis Symphony. Mo. Wicki also conducted the World Premieres of Fantasia live to Projection, The Pirates of the Caribbean, Gladiator, Star Trek, Alice in Wonderland, The Perfume and many more. In 2014 Mo. Wicki conducted the recording of Michael Giacchino’s score for Jupiter Ascending at Abbey Road Studios and performed The Return of the King at Ravinia with the Chicago Symphony Orchestra. A huge highlight of the 2014/15 season was performances of the whole ‘Lord of the Rings’ trilogy at the Lincoln Center in New York with his own 21st Century Orchestra. And of course, the premiere of Titanic Live at the Royal Albert Hall in London in April 2016, with the Royal Philharmonic Concert Orchestra.Two years ago the city of Lucerne expressed its gratitude to Maestro Wicki for his enormous contribution to its cultural life by presenting him with their Special Achievement Award. In 2013 he received an Award for Excellence in Cultural Creativity from the Global Thinkers Forum.